OWATONNA, Minn., November 24, 2015 – Southern Minnesota Initiative Foundation (SMIF) announces the launch of The Prosperity Initiative, a program intended to promote minority-owned business growth in southern Minnesota. 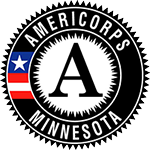 This program is funded in part by Minnesota’s Department of Employment and Economic Development. Over the next two years, SMIF will work with key program partner Small Business Development Center of Rochester to identify and speak with minority business owners interested in growing their companies in southern Minnesota. The program, designed to provide education and business resources to minority business owners, will also educate resource partners of the barriers and opportunities these individuals encounter. In doing so, the program hopes to strengthen and coordinate the resources available to minority-owned businesses throughout the region. The first phase of the program includes a survey of existing minority businesses, available on SMIF’s website. This information will inform SMIF and its partners of the immediate and long-term needs of minority-owned businesses. As a result, conferences, trainings, and mentorships for selected companies will be available to address the identified needs. In addition to Small Business Development Center-Rochester, other partner organizations include: Blandin Foundation’s Leadership in Ethnically Diverse Communities Program, Community and Economic Development Associates, Greater Mankato Diversity Council, Latino Economic Development Center (Minneapolis), Project FINE (Winona), Region 9 Development Commission (Mankato), Diversity Council (Rochester), and Welcome Center (Austin). If you have any questions regarding the survey or Prosperity Initiative, please contact Meg Steuer at MegS@smifoundation.org or 608-397-0079.